A multichannel television service, also known as simply a television provider, is a type of service provider who distributes television programming to its customers for a subscription fee. Subscription television providers distribute television channels that offer different types of programming, typically including local television stations within their market, specialty channels that are distributed solely through multichannel television providers, and pay television services that offer premium content such as feature films and other original programming. Electronic program guides (EPGs) and interactive program guides (IPGs) are menu-based systems that provide users of television, radio and other media applications with continuously updated menus that display scheduling information for current and upcoming broadcast programming. Some guides also feature backward scrolling to promote their catch up content. They are commonly known as guides or TV guides. Professional wrestling is a form of performance art and entertainment which combines athletics with theatrical performance. It takes the form of events, held by touring companies, which mimic a title-match combat sport. The unique form of sport portrayed is fundamentally based on classical and "catch" wrestling, with modern additions of striking attacks, strength-based holds and throws and acrobatic maneuvers. Much of these derive from the influence of various international martial arts. An additional aspect of combat with improvised weaponry is sometimes included to varying degrees. Joseph Louis Barrow, best known as Joe Louis was an American professional boxer who competed from 1934 to 1951. He reigned as the world heavyweight champion from 1937 to 1949, and is considered to be one of the greatest heavyweight boxers of all time. Nicknamed the "Brown Bomber", Louis' championship reign lasted 140 consecutive months, during which he participated in 26 championship fights. The 27th fight, against Ezzard Charles in 1950, was a challenge for Charles' heavyweight title and so is not included in Louis' reign. He was victorious in 25 title defenses, second only to Julio César Chávez with 27. In 2005, Louis was ranked as the best heavyweight of all time by the International Boxing Research Organization, and was ranked number one on The Ring magazine's list of the "100 greatest punchers of all time". Phonevision was a project by Zenith Radio Company to create the world's first pay television system. It was developed and first launched in Chicago, followed by further trials in New York City and Hartford, Connecticut. One of the earliest pay-per-view systems on cable television, the Optical Systems-developed Channel 100, first began service in 1972 in San Diego, California through Mission Cable  (which was later acquired by Cox Communications) and TheaterVisioN, which operated out of Sarasota, Florida. These early systems quickly went out of business, as the cable industry adopted satellite technology and as flat-rate pay television services such as Home Box Office (HBO) became popular. Cable television is a system of delivering television programming to consumers via radio frequency (RF) signals transmitted through coaxial cables, or in more recent systems, light pulses through fiber-optic cables. 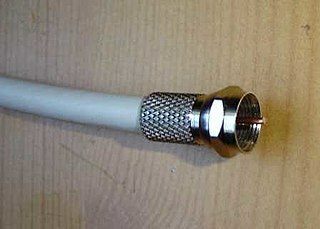 This contrasts with broadcast television, in which the television signal is transmitted over the air by radio waves and received by a television antenna attached to the television; or satellite television, in which the television signal is transmitted by a communications satellite orbiting the Earth and received by a satellite dish on the roof. FM radio programming, high-speed Internet, telephone services, and similar non-television services may also be provided through these cables. Analog television was standard in the 20th century, but since the 2000s, cable systems have been upgraded to digital cable operation. Channel 100 was a pay television channel company run by Jeff Nathanson and Alan Greenstadt. Also called Optical Systems, it was one of the first all pay-per-view cable TV channels. It used a box manufactured by TRW, in which a user inserted separately purchased punched plastic cards for access. In 1972, Mission Cable in San Diego became the first cable company to use the Optical Systems arrangement—under the name “Channel 100." Channel 100 operated on several cable television systems in the United States during the 1970s, including San Diego, California and Toledo, Ohio. It showed two movies a week. After leaving Viacom, Thompson became head of Sports View and produced the first pay-per-view football game on October 16, 1983, a college football game between the University of Tennessee and the University of Alabama from Birmingham, Alabama. [ citation needed ] Sports View played a role in building pay-per-view networks,[ citation needed ] and became the early pioneer in developing TigerVision for Louisiana State University, TideVision for Alabama and UT Vol Seat for Tennessee. Sports View also produced the Ohio State-Michigan football game for pay-per-view in November 1983. In 1985, the first pay-per-view cable channels in the United States – Viewer's Choice (now In Demand), Cable Video Store, First Choice and Request TV – began operation within days of each other. [ citation needed ] Viewer's Choice serviced both home satellite dish and cable customers, while Request TV, though broadcasting to cable viewers, would not become available to satellite subscribers until the 1990s. [ citation needed ] First Choice PPV was available on Rogers Cablesystems in the United States and Canada. After Paragon Cable acquired the Rogers Cablesystems franchise in San Antonio, Texas, First Choice continued to be carried until Time Warner Cable bought Paragon in 1996. In the United States, pay-per-view broadcasters transmit without advertisements, similar to conventional flat-rate pay television services. ESPN later began to televise college football and basketball games on pay-per-view through its services ESPN GamePlan and ESPN Full Court, which were eventually sold as full-time out-of-market sports packages. [ citation needed ] The boxing undercard Latin Fury, shown on June 28, 2003, became ESPN's first boxing card on pay-per-view and also the first pay-per-view boxing card held in Puerto Rico. [ citation needed ] Pay-per-view has provided a revenue stream for professional wrestling circuits such as WWE, Total Nonstop Action Wrestling (TNA), Ring of Honor (ROH) and Lucha Libre AAA World Wide (AAA). Select boxing pay-per-view figures (mainly from Sky Box Office) between 1966 and 2018 - many of these figures are based on BARB weekly viewing data figures  which estimate the number of viewers, not the number of buys. The first pay-per-view mixed martial arts bout was Muhammad Ali vs. Antonio Inoki, which took place in Japan on June 26, 1976. It sold at least 2 million or more buys on closed-circuit theatre TV in the United States. At a ticket price of $10,  the fight grossed at least $20 million (inflation-adjusted $90 million) or more from closed-circuit theatre TV revenue in the United States. ↑ See Manny Pacquiao vs. Ricky Hatton § Pay-per-view. 1 2 See Muhammad Ali § Pay-per-view bouts. ↑ See Floyd Mayweather Jr. § Pay-per-view bouts. 1 2 3 4 See List of WWE pay-per-view events § Past pay-per-view events. ↑ See Boxing career of Manny Pacquiao § Pay-per-view bouts. 1 2 See Mike Tyson § Pay-per-view bouts. Includes WrestleMania XIV role. ↑ See Dwayne Johnson § WWE pay-per-view events. ↑ See Oscar De La Hoya § Pay-per-view bouts. ↑ See Conor McGregor § UFC pay-per-view bouts. HBO World Championship Boxing was an American sports television series, having premiered on January 22, 1973 that has shown a number of significant boxing events since then. Floyd Joy Mayweather Jr. is an American professional boxing promoter and former professional boxer. He competed from 1996 to 2007 and 2009 to 2015, and made a one-fight comeback in 2017. During his career, he held multiple world titles in five weight classes and the lineal championship in four weight classes, and retired with an undefeated record. As an amateur, Mayweather won a bronze medal in the featherweight division at the 1996 Olympics, three U.S. Golden Gloves championships, and the U.S. national championship at featherweight. Sky Box Office is the name of Sky's pay-per-view (PPV) system operated in the United Kingdom and the Republic of Ireland. There were three branded divisions of Sky Box Office – Sky Cinema Box Office, Sky Sports Box Office and Sky 3D Box Office. Until 1 February 2011, the system ran under unified Sky Box Office branding. On 4 January 2017, all Sky Cinema Box Office channels ceased broadcasting, with only Sky Sports Box Office remaining available. Golden Boy Promotions, Inc. is an American boxing and mixed martial arts promotion firm based in Los Angeles, California which was established in 2002 by 10-time world champion Oscar De La Hoya. "Golden Boy" is one of boxing's most active and high-profile promoters, presenting shows worldwide. Oscar De La Hoya vs. Manny Pacquiao, also billed as The Dream Match, was a professional boxing welterweight superfight. 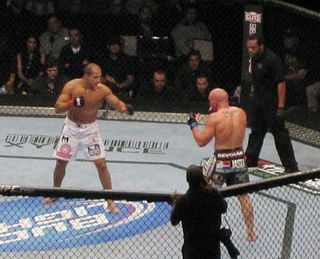 The bout took place on December 6, 2008 at the MGM Grand Garden Arena, Las Vegas, Nevada, United States. Pacquiao defeated De La Hoya via technical knockout when De La Hoya decided not to continue with the fight before the start of the ninth round. The card was a co-production of Bob Arum's Top Rank Boxing and De La Hoya's Golden Boy Promotions and was aired live on pay-per-view (PPV) on HBO PPV. The fight is notable for propelling Manny Pacquiao to full-blown superstar status in much of the western world, as Oscar De La Hoya symbolically "passed the torch", so to speak, to Pacquiao. Manny Pacquiao vs. Ricky Hatton, billed as The Battle of East and West, was a professional boxing match for The Ring magazine's light welterweight championship and IBO super lightweight championship between Manny Pacquiao of General Santos, Philippines and Ricky Hatton of Manchester, United Kingdom. The bout was held on 2 May 2009 at the MGM Grand in Las Vegas, Nevada, United States and drew 1.75 million pay-per-view buys. Manny Pacquiao vs. Juan Manuel Márquez III, billed as The 25th Round Begins, was a boxing championship bout for the WBO welterweight title. The bout took place on November 12, 2011, at the MGM Grand in Las Vegas, Nevada and was distributed by HBO PPV. The fight also marked a return to HBO for Pacquiao and drew 1.4 million pay-per-view buys. Floyd Mayweather Jr. vs. Marcos Maidana, billed as "The Moment", was a boxing welterweight championship fight. The bout was held on May 3, 2014, in the MGM Grand Garden Arena, at the MGM Grand Hotel & Casino in Las Vegas, Nevada, United States, on Showtime PPV. Premier Boxing Champions (PBC) is a television boxing series organized by Haymon Boxing. The television series seeks primarily to bring renewed mainstream exposure to professional boxing, emphasizing a modern "concert"-like atmosphere, "high-quality" cards, television broadcasts through major networks and cable channels as opposed to pay television and pay-per-view events, and the use of technology to provide enhanced insight to the bouts. Pacquiao vs. Larios, also billed as Mano-A-Mano and Thrilla in Manila 2, was a professional boxing super featherweight fight held on July 2, 2006 at the Araneta Coliseum, Quezon City, in the Philippines and was a production of ABS-CBN Sports and promoted by Manny Pacquiao Promotions and Golden Boy Promotions. The judges were Humbert Furgoni from France, Daniel van de Wiele from Belgium, and Noppharat Srichharoen from Thailand with referee Bruce McTavish and ring announcer Michael Buffer. It was aired live in free-to-air television network ABS-CBN, worldwide through The Filipino Channel, and through pay per view on In Demand, HBO, DirecTV, and SkyCable. Pacquiao won the fight via unanimous decision, knocking down Larios two times. The three judges scored the fight 117–110, 118–108 and 120–106 all for Pacquiao. Stephen Espinoza is the President of Showtime Sports. Manny Pacquiao vs. Jessie Vargas, billed as The Legend/The Champ or Resurgence was a boxing match for the WBO welterweight championship. The event took place on November 5, 2016 at the Thomas & Mack Center in Las Vegas, Nevada. Pacquiao won the fight by unanimous decision and took the WBO welterweight title. 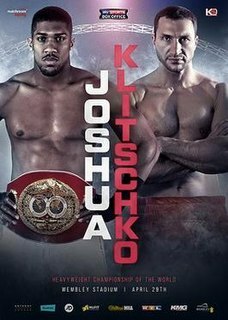 Anthony Joshua vs. Wladimir Klitschko was a professional boxing match contested between Anthony Joshua and Wladimir Klitschko. The event took place on 29 April 2017 at Wembley Stadium in London, England, with Joshua's IBF and the vacant WBA (Super) and IBO heavyweight titles on the line. Joshua, 27, won the match via technical knockout in the 11th round. Klitschko, 41, announced his retirement from boxing a few months after the fight. Floyd Mayweather Jr. vs. Conor McGregor, also known as "The Money Fight" and "The Biggest Fight in Combat Sports History", was a professional boxing match between undefeated eleven-time five-division boxing world champion Floyd Mayweather Jr. and two-division mixed martial arts (MMA) world champion and, at the time, UFC Lightweight Champion Conor McGregor. The fight took place at T-Mobile Arena in Paradise, Nevada, on August 26, 2017 at the light-middleweight weight class. It was scheduled for twelve rounds and recorded the second highest pay-per-view buy rate in history. Manny Pacquiao has competed in professional boxing since 1995. He is the only eight-division world champion in the history of the sport, having won twelve major world titles, as well as being the first boxer to win the lineal championship in five different weight divisions. Pacquiao is also the first boxer in history to win major world titles in four of the original eight weight divisions of boxing, also known as the "glamour divisions": flyweight, featherweight, lightweight, and welterweight. He has held the WBA (Regular) welterweight title since 2018. ↑ "YouTube enables pay-per-view option for live video streams". VentureBeat. 2012-04-10. Retrieved 2019-04-04. 1 2 3 4 Ezra, Michael (2013). The Economic Civil Rights Movement: African Americans and the Struggle for Economic Power. Routledge. p. 105. ISBN 9781136274756. 1 2 3 4 5 6 7 8 9 10 11 12 13 14 "History of Prizefighting's Biggest Money Fights". Bloody Elbow . SB Nation. August 24, 2017. ↑ Television. Frederick A. Kugel Company. 1965. p. 78. Teleprompter's main-spring, Irving B. Kahn (he's chairman of the board and president), had a taste of closed circuit operations as early as 1948. That summer, Kahn, then a vice president of 20th Century-Fox, negotiated what was probably the first inter-city closed circuit telecast in history, a pickup of the Joe Louis-Joe Walcott fight. 1 2 3 "Zaire's fight promotion opens new gold mines". The Morning Herald . November 18, 1974. ↑ "Karriem Allah". Black Belt . Active Interest Media, Inc.: 35 1976. ↑ Mullen, Megan Gwynne (2003). The Rise of Cable Programming in the United States: revolution or evolution?. University of Texas Press. ISBN 0-292-75273-3. 1 2 Brooks, Ken (2016). Ingemar Johansson: Swedish Heavyweight Boxing Champion. McFarland. p. 150. ISBN 9781476620237. 1 2 "Floyd Favored 18-5 to Send Swede Home with Lumpy Head". Daily Inter Lake . March 13, 1961. p. 5. 1 2 "Clay-Jones Fight First Garden Sellout in 13 Yrs". Traverse City Record-Eagle . March 13, 1963. 1 2 "Can the fine arts find a home on television?" (PDF). Broadcasting . Broadcasting Publications Incorporated. 83: 38. 1972. Noting that many in the arts community have rested their hopes on pay cable, Mr. Jencks recalled that during a pay-TV experiment over WHCT(TV) Hartford, Conn., 96% of all viewing time was devoted to motion pictures and sports events. A single boxing match between Sonny Liston and Muhammad Ali, Mr. Jencks said, attracted nearly four times as many subscribers as the cumulative total of all 50 "educational features" offered by WHCT over a two-year period. 1 2 Ezra, Michael (2009). Muhammad Ali: The Making of an Icon. Temple University Press. p. 83. ISBN 9781592136612. 1 2 3 Smith, Ronald A. (2003). Play-by-Play: Radio, Television, and Big-Time College Sport. Johns Hopkins University Press. p. 101. ISBN 9780801876929. 1 2 3 Steve Seepersaud. "Money in Boxing: The Pay-Per-View Craze". Ca.askmen.com. Archived from the original on 2007-03-10. Retrieved 2011-11-03. ↑ Steve Seepersaud. "Money in Boxing: The Pay-Per-View Craze". Ca.askmen.com. Retrieved 2011-11-03. ↑ "PayPerView.com – WWE Online Pay-Per-View". Whois.domaintools.com. Retrieved 2011-11-03. ↑ "Mayweather-Hatton pay-per-view a smashing success". Sports.espn.go.com. 2007-12-17. Retrieved 2011-11-03. ↑ Dan Rafael (April 29, 2015). "Mayweather-Pacquiao on PPV 'a perfect storm'". ESPN. ↑ "Sports TV Ratings: How Many People Watched Mayweather vs. Pacquiao, The Kentucky Derby And NFL Draft?". 2015-05-04. Retrieved 2016-06-30. 1 2 "HBO's Taffet Still Stunned By 4.6M Buys For May-Pac". BoxingScene. November 10, 2015. Retrieved May 2, 2016. ↑ Kurt Badenhausen (April 9, 2015). "Manny Pacquiao Set To Retire After Bradley Fight With $500 Million In Career Earnings". Forbes. ↑ "USA TODAY: Latest World and US News - USATODAY.com". USA TODAY. Retrieved 1 November 2018. ↑ Where Manny Pacquiao ranks among the biggest PPV boxing draws of all-time. Yahoo! Sports (April 8, 2014). Retrieved on 2016-06-25. ↑ "– UFC PAY-PER-VIEW BUYS EXPLODE IN 2006". MMAWeekly.com. 2006-07-13. Retrieved 2019-03-19. ↑ "UFC 52: Chuck strikes back". Yahoo! Sports. Retrieved 2019-03-18. ↑ "Report: UFC grosses $222 million in 2006 PPV buys". MMAmania.com. 2007-02-24. Retrieved 2019-03-18. ↑ Meltzer, Dave (2018-10-11). "UFC 229: Khabib vs. McGregor destroys previous MMA record for pay-per-views". MMA Fighting. Retrieved 2019-03-18. ↑ "ESPN Extends With UFC; ESPN+ Becomes Exclusive PPV Provider". Sports Business Daily. Retrieved 2019-03-18. ↑ Berkman, Seth (March 30, 2014). "WWE Network Is Loud Introduction to the Video Streaming Ring". The New York Times. Retrieved August 14, 2014. ↑ "WrestleMania 34 sets Superdome, network records". Stamford Advocate. 2018-04-09. Retrieved 2018-11-17. ↑ Zumberge, Marianne; Zumberge, Marianne (2015-07-25). "Grateful Dead Farewell Concerts Set Pay Per View Record". Variety. Retrieved 2019-03-18. ↑ Gibbons, Kent (2014-07-22). "Viewers Choice Canada Winding Down: Bell, Rogers-Owned Pay-Per-View Provider Closing Sept. 30". Multichannel News . Retrieved 2014-07-23. ↑ "Digitalb – Pay per View :: Digigold". Digitalb.al. Archived from the original on 2011-11-01. Retrieved 2011-11-03. ↑ Sky Pacific 'About Us' Page Archived 2015-04-18 at the Wayback Machine Retrieved 10th June 2015. 1 2 3 4 Frazier, Joe; Berger, Phil (2013). Smokin’ Joe: The Autobiography of a Heavyweight Champion of the World, Smokin’ Joe Frazier. AudioGO. p. 104. ISBN 9781620642160. ↑ "The Promoters Loved the Fight But Some Fans Call It 'a Bore'". Detroit Free Press . March 10, 1971. 1 2 Ryan, Joe (2013). Heavyweight Boxing in the 1970s: The Great Fighters and Rivalries. McFarland. p. 65. ISBN 9780786492497. ↑ "'Bugner's British Bunch' Travels To See Ali Bout". The News-Press . February 2, 1973. ↑ Kabanda, Aloys (1977). Ali/Foreman: le combat du siècle à Kinshasa, 29-30 octobre 1974 : introduit par une étude sur la République du Zaïre (in French). Naaman. Soit, pour Don King et ses amis, c'est la fin de leurs dépenses d'énergie pour trouver de l'argent nécessaire pour le coup le plus formidable jamais réalisé dans le show-boxing business et il prévoit une recette pouvant aller de 35 à 100 millions de dollars. 1 2 "Karriem Allah". Black Belt . Active Interest Media, Inc.: 35 1976. 1 2 "Ali Wins On Decision". The Bee . September 29, 1976. 1 2 "Ali, Norton both promise in tonight's title tilt". Battle Creek Enquirer . September 28, 1976. ↑ "Muhammad Ali vs. Ken Norton (3rd meeting)". BoxRec . Retrieved September 17, 2018. 1 2 "The Last Hurrah isn't a box office knockout". Fort Lauderdale News . October 2, 1980. ↑ "Roberto Duran, the brawler, and Sugar Ray Leonard, the..." United Press International . November 25, 1980. 1 2 "Imagine A Day At The End Of Your Life: Larry Holmes-Gerry Cooney Revisited". Bad Left Hook. SB Nation. June 11, 2012. 1 2 Heller, Peter (1995). Bad Intentions: The Mike Tyson Story. Da Capo Press. p. 270. ISBN 978-0-306-80669-8. 1 2 3 "PAY-PER-VIEW CAN DRIVE CLOSED-CIRCUIT OFF SCREEN". Washington Post . July 2, 1988. 1 2 3 4 5 6 7 8 9 10 11 12 13 14 15 16 Emen, Jake (2011-10-30). "Biggest boxing PPVs of all time – UFC". Sports.yahoo.com. Archived from the original on 2010-11-19. Retrieved 2011-11-03. ↑ "GRAND PRIZE IN ON-AGAIN RUDDOCK-TYSON II FIGHT IS HOLYFIELD". Deseret News . May 21, 1991. 1 2 Van Riper, Tom (2008-11-24). "In Pictures: The 10 Biggest Pay-Per-View Fights". Forbes.com. Retrieved 2017-09-21. ↑ "King: Ruddock-Tyson II to return boxing's integrity". The Baltimore Sun . March 27, 1991. ↑ "PART 2: BOXING VS MMA GATES". MMA Weekly . SB Nation. January 7, 2006. 1 2 3 4 5 6 7 8 "Tyson's millions vanish with nothing to show". The Montgomery Advertiser . April 5, 1998. 1 2 "The Highest-Grossing PPV Boxing Matches of All Time". SportsBreak. December 16, 2017. 1 2 3 4 "Top Boxing Gates". Nevada State Athletic Commission . Retrieved September 17, 2018. ↑ "Business Week". Business Week . McGraw-Hill (3500–3503). 1996. TYSON TKOs BRUNO in 5th round on Mar. 16. Revenues $98 million. 1 2 3 Davies, Gareth A. (20 December 2007). "Ricky Hatton shatters viewing record". The Daily Telegraph . 1 2 3 Asher, Mark (July 5, 1997). "TYSON-HOLYFIELD PACKED A BIG FINANCIAL WALLOP". Washington Post . ↑ "Tragedy Beckons Tyson The Thug, The Quitter". Orlando Sentinel . July 5, 1997. ↑ "Highest Viewed Pay-Per-View Boxing Fights of All-Time". RealClearLife. 26 August 2017. Retrieved September 14, 2018. 1 2 Lalani, Zahid (2011-06-29). "Haye looks for heavyweight payday". BBC News. Retrieved 2018-05-12. ↑ McPolin, Sean (February 15, 2017). "The 5 highest-grossing boxing fights of all time ahead of Mayweather vs McGregor". Daily Mirror . 1 2 3 4 "De la Hoya-Mayweather as it happened". BBC News. 6 May 2007. 1 2 "I've weighed the evidence and Oscar De La Hoya gets my verdict". Daily Mirror . December 6, 2008. Retrieved February 3, 2012. 1 2 "Mayweather-Hatton does stellar numbers". ESPN . December 17, 2007. 1 2 "Pacquiao-Hatton PPV numbers something to celebrate, even if Arum refuses". 1 2 "Pacquiao vs Mosley Could Be Highest-Selling Pacquiao PPV Ever". Bad Left Hook. Vox Media. SB Nation. May 12, 2011. 1 2 3 "Floyd Mayweather Jr.-Shane Mosley fight does 1.4 million pay-per-view buys". LA.Times.com. 2010-05-11. Retrieved 2014-01-13. ↑ "Mayweather-Marquez sold 1 million PPV buys". ESPN . September 25, 2009. 1 2 "Pacquiao-Cotto tops Mayweather in PPV". ESPN.com. 2009-11-20. Retrieved 2014-01-13. ↑ Rafael, Dan (20 November 2009). "Pacquiao-Cotto tops Mayweather in PPV". ESPN. ↑ "Floyd Mayweather Jr.-Shane Mosley fight does 1.4 million pay-per-view buys". Los Angeles Times . May 11, 2010. 1 2 "Manny Pacquiao generates another 1 million PPV buys". Sports.espn.go.com. 2010-11-23. Retrieved 2011-11-03. ↑ "Breaking down the Pacquiao-Margarito attendance". ESPN . November 24, 2010. 1 2 "Bout draws more than 1.3 million buys". Espn.go.com. ↑ "Pacquiao-Mosley draws at least 1.3M PPV buys". ESPN . June 9, 2011. 1 2 "The Numbers Are In! Mayweather-Ortiz Is Second Highest Grossing Non-Heavyweight Fight". Fighthype.com. 2011-10-28. Retrieved 2011-11-03. ↑ "Mayweather-Ortiz fight drives 1.25 million buys". ESPN . October 28, 2011. 1 2 "Pacquiao vs Marquez III draws 1.4 million PPV". BoxingNews24. December 13, 2011. Retrieved November 3, 2011. ↑ "Marquez-Pacquiao IV exceeds 1 million PPVs". ESPN . December 15, 2012. 1 2 "Floyd Mayweather-Miguel Cotto rakes in $94M in PPV sales". Espn.go.com. Retrieved 2012-05-13. 1 2 "Marquez-Pacquiao another big draw". ESPN.com. 2012-12-15. Retrieved 2012-12-15. ↑ Luarca, Roy (December 16, 2012). "Pacquiao-Marquez 4 earns $70M in PPV". Philippine Daily Inquirer . 1 2 Floyd Mayweather and Canelo Alvarez PPV sales at 2.2 million, setting revenue record, Yahoo Sports, October 2, 2013. 1 2 Idec, Keith (2015-11-10). "HBO's Taffet Still Stunned By 4.6M Buys For May-Pac". BoxingScene. Retrieved 2017-06-29. 1 2 "UK broadcasters are in a bidding war to show Mayweather v McGregor — and it could break box office records". Business Insider . 26 July 2017. 1 2 3 4 5 "Mayweather-Pacquiao KO's PPV marks, live gate". ESPN . May 12, 2015. ↑ Isidore, Chris (May 12, 2015). "Mayweather-Pacquiao rakes in a record $500 million". CNNMoney . CNN. 1 2 "Weekly viewing summary (Sky Box Office Events buys in week ending 30 April 2017)". Broadcasters' Audience Research Board . Retrieved 7 May 2018. ↑ "Here's how much Anthony Joshua made for his stunning Wembley showpiece". Joe . Retrieved 14 September 2018. ↑ "Mayweather Vs McGregor Super Fight Was One Of Most Pirated Ever". UNILAD . August 29, 2017. 1 2 3 Idec, Keith (September 27, 2017). "Report: Canelo-Golovkin Fight Produced 1.3 Million PPV Buys". BoxingScene. Retrieved September 27, 2017. 1 2 "Weekly viewing summary (Sky Box Office Events buys between 26 March 2018 and 1 April 2018)". Broadcasters' Audience Research Board . Retrieved 4 May 2018. ↑ Gray, James (31 March 2018). "Anthony Joshua vs Joseph Parker pay-per-view: Price, how to buy and book the fight". Daily Express . 1 2 "No deal yet for heavyweight title fight between Anthony Joshua and Deontay Wilder". Yahoo Sports . June 12, 2018. ↑ Benson, Michael (28 August 2018). "KSI reveals official PPV numbers from the Logan Paul fight, discusses earnings". talkSPORT . Retrieved 28 August 2018. ↑ "Fightweets: Was UFC right to strip Nicco Montaño of her title?". MMA Fighting . September 8, 2018. ↑ "Not many enjoyed the KSI vs Logan Paul boxing fight". WKQX-FM . August 26, 2018. ↑ Ghosh, Shona (28 August 2018). "KSI and Logan Paul probably generated up to $11 million with their YouTube boxing match". Business Insider . Retrieved 28 August 2018. 1 2 3 Rafael, Dan (September 25, 2018). "Canelo Alvarez-Gennady Golovkin rematch sold 1.1 million PPV buys". ESPN. Retrieved September 25, 2018. 1 2 "Weekly viewing summary (Sky Box Office Events buys between 17 September 2018 and 30 September 2018)". Broadcasters' Audience Research Board . Retrieved 20 October 2018. ↑ "Joshua vs Povetkin: All the timing, pricing and booking information for Anthony Joshua vs Alexander Povetkin". Sky Sports . September 22, 2018. ↑ "Anthony Joshua vs Alexander Povetkin in pictures - all the boxing action and celebrities at Wembley Stadium". The Daily Telegraph . September 22, 2018. ↑ "Attendance Data: TNT Reports on Fightcasts". Broadcasting . Broadcasting Publications: 78. July 1951. ↑ "Pittsburgh Post-Gazette". Pittsburgh Post-Gazette . June 13, 1951. p. 19. 1 2 "Theater TV: 200-House Web Could Create Own Programs". Billboard . Nielsen Business Media. February 9, 1952. ↑ "Joe Walcott Quits; 'Last King of Line'". The New York Age . September 27, 1952. ↑ "RAIN THREATENS HEAVYWEIGHT TITLE". Tucson Daily Citizen . September 23, 1952. ↑ "The Troy Record". The Troy Record . April 19, 1956. ↑ "Rocky KO's Moore". The Eugene Guard . September 22, 1955. ↑ "Basilio Beats Robinson on Split Decision". Democrat and Chronicle . September 24, 1957. ↑ "Robinson, Basilio Title Rout Tonight at Stadium Could Set Two Records". Pittsfield Berkshire Eagle . September 23, 1957. ↑ "Arizona Republic". Arizona Republic . May 12, 1959. ↑ Romano, Frederick V. (2017). 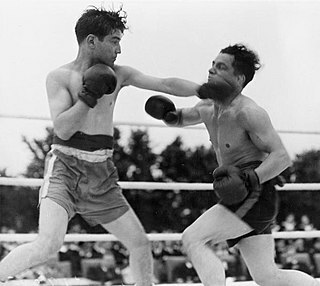 The Golden Age of Boxing on Radio and Television: A Blow-by-Blow History from 1921 to 1964. Skyhorse Publishing. p. 164. ISBN 9781631440755. 1 2 Levy, Alan H. (2008). Floyd Patterson: A Boxer and a Gentleman. McFarland. p. 78. ISBN 9780786439508. 1 2 "Redlands Daily Facts". Redlands Daily Facts . June 30, 1959. ↑ Springer, Steve; Chavez, Blake (2011). Hard Luck: The Triumph and Tragedy of "Irish" Jerry Quarry. Rowman & Littlefield. p. 42. ISBN 9780762768639. 1 2 "Patterson Kayoes Johansson In Sixth To Keep Heavyweight Crown". The Times-Record . March 14, 1961. ↑ Myler, Thomas (2018). The Mad and the Bad: Boxing Tales of Murder, Madness and Mayhem. Pitch Publishing. p. 160. ISBN 9781785314223. ↑ "Invitation To Murder: Cassius May Get A Crack At Liston This Summer". The Courier-Journal . March 14, 1963. ↑ Unterharnscheidt, Friedrich; Unterharnscheidt, Julia Taylor (2003). Boxing: Medical Aspects. Academic Press. p. 746. ISBN 9780080528250. 1 2 Ezra, Michael (2009). "Muhammad Ali's Main Bout: African American Economic Power and the World Heavyweight Title". Muhammad Ali: The Making of an Icon. Temple University Press. p. 82. ISBN 9781592136612. ↑ Ezra, Michael (2013). The Economic Civil Rights Movement: African Americans and the Struggle for Economic Power. Routledge. p. 109. ISBN 9781136274756. ↑ Levy, Alan (2008). Floyd Patterson: A Boxer and a Gentleman. McFarland. p. 181. ISBN 9780786439508. ↑ Mee, Bob (2011). Liston and Ali: The Ugly Bear and the Boy Who Would Be King. Mainstream Publishing. p. 308. ISBN 9781907195655. ↑ "Clay Selects Terrell As Next Title Foe". The Daily Independent . November 23, 1965. 1 2 Ezra, Michael (2013). The Economic Civil Rights Movement: African Americans and the Struggle for Economic Power. Routledge. p. 114. ISBN 9781136274756. 1 2 "Terrell Gets Crack at Unbeaten Clay". The Philadelphia Inquirer . February 5, 1967. ↑ "Clay Predicts Victory". The Palm Beach Post . October 24, 1970. ↑ Ezra, Michael (2009). Muhammad Ali: The Making of an Icon. Temple University Press. p. 82. ISBN 9781592136612. ↑ "Clay-Quarry fight to gross $3.5 million". Battle Creek Enquirer . November 10, 1970. ↑ Bardy, Dave (June 20, 1980). "Leonard vs Duran June 20: Talking Is Over in Montreal". Washington Post . 1 2 "How the Hagler-Leonard superfight changed the combat sports landscape". Wrestling Observer Newsletter . April 9, 2017. ↑ "Hagler Bout to Be Shown in City". The Oklahoman . October 29, 1985. ↑ "'Superfight' becomes reality Monday". The Sentinel . April 4, 1987. ↑ "TAKE FIVE: OSCAR DE LA HOYA VS. FLOYD MAYWEATHER JR., 'THE WORLD AWAITS'". Las Vegas Sun . May 5, 2007. ↑ "KLTV fight plea is turned down". Broadcasting/Telecasting . Broadcasting Publications. 63: 131. June–September 1962. ↑ "Boxing on Primetime Network TV: Things Came To An End in The 90s". Boxing Insider. January 22, 2013. ↑ "IRON MIKE IS UNDISPUTED PAY-PER-VIEW WORLD CHAMP". New York Daily News . January 21, 1998. Tyson's lowest buy rate was in his first fight with Donovan (Razor) Ruddock, which registered 960,000 buys. ↑ "James Toney vs. Roy Jones Jr". Box Rec. Retrieved 2014-01-13. ↑ "About. com Top Pay Per View Events in Boxing History". about.com. Retrieved 2014-03-15. ↑ "Bowe-Holyfield Knocks Out $26 Mil". Variety.com. 1995-11-12. Retrieved 2014-01-13. ↑ "Rawling awards Lewis clean sweep". BBC. 2000-11-12. Retrieved 2016-04-16. ↑ "MEDIA NOTES". Sports Business Daily. 1997-11-14. Retrieved 2014-01-13. 1 2 3 4 Sandomir, Richard (2000-11-16). "PLUS: TV SPORTS; LEWIS-TUA ATTRACTS 420,000 BUYERS". N.Y. Times article. Retrieved 2014-01-04. 1 2 3 "525,000 Buys for Jones Bout". N.Y. Times article. 2003-03-05. Retrieved 2014-01-04. ↑ "Marquez-Barrera pulls in $10.1 million in TV revenue". ESPN.com. 2007-03-24. Retrieved 2014-01-13. ↑ "Hasim Rahman vs. Lennox Lewis (2nd meeting)". BoxRec. 2015-01-03. Retrieved 2016-04-16. ↑ "Holyfield considering retirement". USA TODAY　article. 2003-10-15. Retrieved 2014-01-13. ↑ "HBO release PPV Tarver/Jones buys". SecondsOut.Com article. Retrieved 2014-01-10. ↑ "Ricardo Mayorga vs. Oscar De La Hoya – Boxrec Boxing Encyclopaedia". Boxrec.com. Retrieved 2011-11-03. ↑ "Mayweather-Pacquiao: 17 Years to a Superfight". BoxingScene. April 1, 2015. ↑ "Notebook: Manager says Gatti not retiring yet". ESPN. August 18, 2006. ↑ Nick Giongco. "Pacquiao fight sold $ 1.3-M tickets. (Sports News)". Manila Bulletin. Archived from the original on 2018-11-06. ↑ "Juan Manuel Marquez vs. Manny Pacquiao (2nd meeting)". Boxrec. ↑ Rold, Cliff (2015-04-16). "HBO releases official PPV numbers: 1.25 million". Bad Left Hook. Retrieved 2016-04-16. ↑ "Pacquiao-Clottey earns big PPV bucks". ESPN.com. 2010-03-23. Retrieved 2014-01-10. ↑ "Jones-Hopkins II does about 150K PPV buys". Bad Left Hook. Retrieved 2017-07-06. ↑ ""Fighting Words" — Deontay Wilder Gets A Reality Check - Boxing News". www.boxingscene.com. ↑ "Pacquiao-Bradley II set for April". espn.com. Retrieved 2012-08-11. ↑ "Viewers flock to Martinez-Chavez". ESPN.com. 2012-09-21. Retrieved 2014-06-13. ↑ Satterfield, Lem (2013-05-10). "Mayweather-Guerrero: Over a million PPV buys". The Ring . Retrieved 2015-04-30. ↑ "Manny Pacquiao-Brandon Rios fight sells 475,000 PPVs, according to HBO Sports". Sports.Yahoo. 2013-12-05. Retrieved 2013-12-20. ↑ "Canelo Alvarez scores on PPV". ESPN.com. 2014-03-14. Retrieved 2014-06-13. ↑ "Pacquiao-Bradley II numbers down". Espn.go.com. 1 2 "Source: Mayweather-Maidana II does 925,000 pay-per-view buys". Yahoo.Sports. 2014-09-18. Retrieved 2015-01-30. ↑ "Cotto-Martinez fight brings in disappointing pay-per-view audience". SI.com. 2014-06-26. Retrieved 2014-06-27. ↑ "Golovkin-Rubio up next?". ESPN.com. 2014-08-15. Retrieved 2014-08-29. ↑ "Pacquiao vs Algieri gets over 400K in PPV buys". ABS-CBNnews.com. ↑ "Bob Arum: Pacquiao-Bradley III lost money, had 'terrible' PPV numbers". Espn.go.com. April 21, 2016. ↑ Rafael, Dan (2015-12-03). "Canelo Alvarez-Miguel Cotto pay-per-view approximately $58M in revenue". ESPN. Retrieved 2016-04-16. ↑ Manny Pacquiao-Timothy Bradley Jr. III PPV numbers 'terrible', says Top Rank promoter Bob Arum. Espn.go.com (April 21, 2016). Retrieved on 2016-06-25. ↑ Rafael, Dan (May 14, 2016). "Canelo Alvarez, Amir Khan fight sells close to 600,000 pay-per-view buys, Golden Boy Promotions says". ESPN. Retrieved September 25, 2016. ↑ Arum says he lost about $100k on Crawford-Postol PPV. Espn.go.com (September 3, 2016). Retrieved on 2016-09-10. ↑ "Canelo-Smith PPV: Golden Boy Pleased With 300K Buys". boxingscene.com. September 25, 2016. ↑ "Bob Arum: Pacquiao-Vargas fight surpassed 300K PPV buys; Is Pacquiao-Mayweather II possible?". USA Today. November 15, 2016. Archived from the original on November 16, 2016. Retrieved November 16, 2016. ↑ "Ward-Kovalev: $3.3 Million Live Gate From 10,066 Tickets Sold". BoxingScene. December 5, 2016. ↑ "Loeffler Confirms Golovkin-Jacobs Did About 170K PPV Buys". BoxingScene. March 24, 2017. ↑ "Canelo Alvarez-Julio Cesar Chavez Jr. hits 1 Million Pay-Per-View Buys". ESPN. May 19, 2017. ↑ Idec, Keith (June 28, 2017). "Ward-Kovalev Rematch Replay Peaked at 947K Viewers on HBO". BoxingScene. Retrieved June 29, 2017. ↑ "Mayweather vs. McGregor ends up second-biggest North American PPV ever" . Retrieved 1 November 2018. ↑ "Deontay Wilder v Tyson Fury hailed a heavyweight Pay-Per-View success". World Boxing News. December 5, 2018. ↑ "Pacquiao-Broner PPV sales hit 400,000, earn $30 million". ABS-CBN News . January 24, 2019. Retrieved January 25, 2019. ↑ Alexander, Mookie (March 28, 2019). "Report: Errol Spence vs. Mikey Garcia pulled in at least 360,000 PPV buys".